Jo came into the Hospice on New Year’s Day 2015. At the time she shared her experience she had been in the Hospice for almost three months. Jo said that she was very frightened when she arrived but was soon relieved as she has found herself surrounded by wonderful people – nurses, volunteers, other staff and the therapists who are part of the complementary therapy program. She said that everyone was so good and they made her feel like there was not enough they could do for her. Each week Jo enjoyed skin therapy with Rose on a Wednesday. 'She calms me down especially when I am upset. I can cry with her and I feel that I have this really close relationship with her. Rose will do anything to make me comfortable'. Jo said that after a session with Rose she felt like a million dollars. Rose brought relaxing music, essential oils and created a haven for Jo. This was something she certainly did not expect when she was admitted to the Hospice. Jo's husband of 43 years, Jeff, told her that her skin had never looked better. Jo and Jeff also benefited from massages provided by Karen. Jeff felt so relaxed after his massage the he needed to pull over and have a nap on the drive home after visiting Jo. Jo believed that the complementary therapy program played a big part in helping her to accept her situation. Tears were met with calmness and soothing touch which supported her when times got tough. 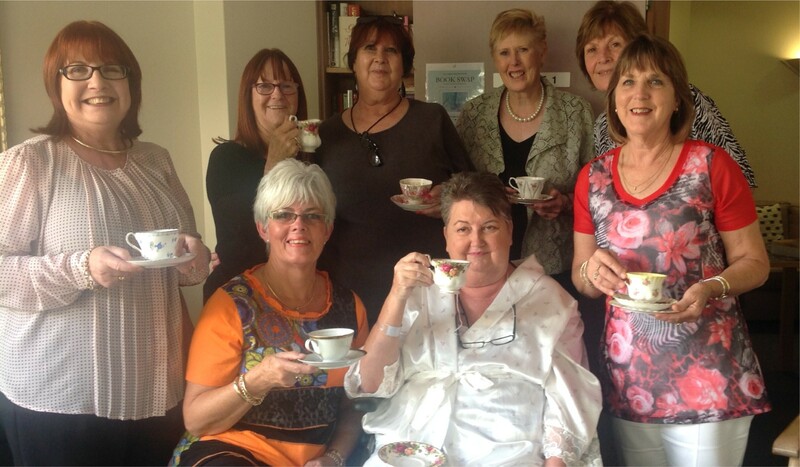 Jo's friends that visited from interstate were so impressed by this special service in the Hospice that they were inspired to see something similar available in their hometowns for people who were dying. The best endorsement Jo gave is that after a treatment she felt like she could live another four years. 'I feel the best I ever have during my time here in the Hospice – I am the happiest I've ever been'. In memory of Jo Harris who passed away in the Mary Potter Hospice in May 2015.